DO YOU HAVE HOUSE PLANTS? ARE YOU CONCERNED ABOUT OWNING A HEALTHY GREEN LUSH LAWN WITHOUT THE USE OF CHEMICALS? DID YOU ANSWER YES TO ANY OF THE ABOVE? IF YOU DID PLEASE READ ON, IF NOT TELL YOUR FRIENDS ABOUT SSS. CONTACT US FOR A BOOKLET ABOUT HOW TO GROW WITHOUT CHEMICALS AND GROW IT FOR A LOT LESS MONEY! Super Soil Stimulant is 100% natural. Produced from nature's own items. 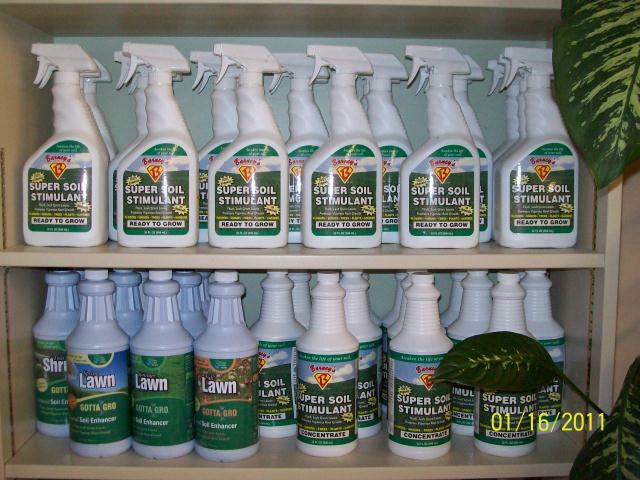 This product is guaranteed to produce growth in all of your plant life including shrubs and trees. We have hundreds of testimonies about just how great this product works on gardens, flowers, shrubs, lawns, and even farm crops. If you try our product and are not completely satisfied, we will refund your money for the product, no questions ask and no requirement to return the container. How can we make this offer? We know it will work miracles for you! We know that you cannot beat nature and natural ingredients. 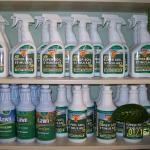 Would you eat the chemicals that you spray on your garden and lawn? Why not? When you spray chemicals on your garden you will eat some of them! Are you convinced they are safe? Why gamble with your heath--You have a choice to go all natural. Exactly what is our product? How does it work?